Hamilton, V.E., and P.R.Christensen, Evidence for extensive olivine-rich bedrock in Nili Fossae, Mars, Geology, 33, 433-436, 2005. Rogers, A.D., P.R.Christensen, and J.L. 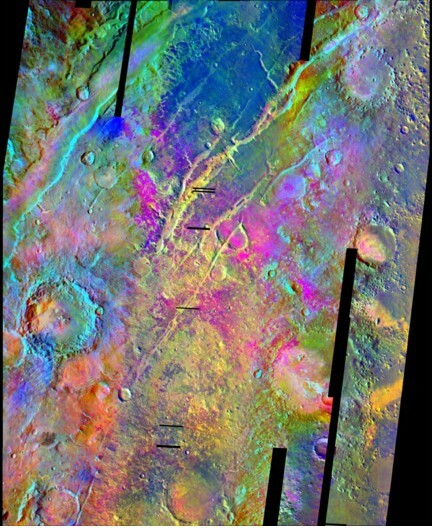 Bandfield, Compositional heterogeneity of the ancient martian crust: Analysis of Ares Vallis bedrock with THEMIS and TES data, J. Geophys. Res., 110, E05010, doi:10.1029/2005JE002399, 2005.